As the “video games as art” debate continues to rage on, this past decade has seen the rise of a genre I like to refer to as the artistic platformer. These are games that present themselves as rather simple 2D platformers, but attempt to tell a story or evoke emotion through their presentation and gameplay. Often these stories aren’t obvious, leading online communities to speculating what the game they just played through really means. Said backlash is the very first set of opinions I saw on Nomada Studio’s upcoming title Gris…although I really can’t fathom why. 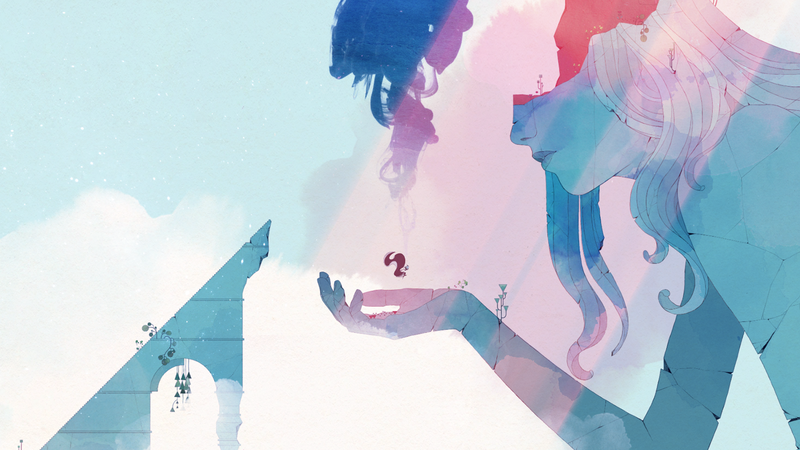 Compared to how dark and gloomy the atmosphere of many games in this genre can be, the initial trailer for Gris struck me with its sheer amount of color. The music that played during it definitely grabbed my attention as well. So when I saw it had a prominent demo station at Devolver’s booth at PAX West a couple weeks ago, I knew I had to play it. The demo station itself already provided a great first impression – comfortable chairs to lean back in, large monitors to play on, and the whole area was roped off with the line formed on the other side of the rope, meaning those currently playing the demo wouldn’t have to worry about other people crowding around them. 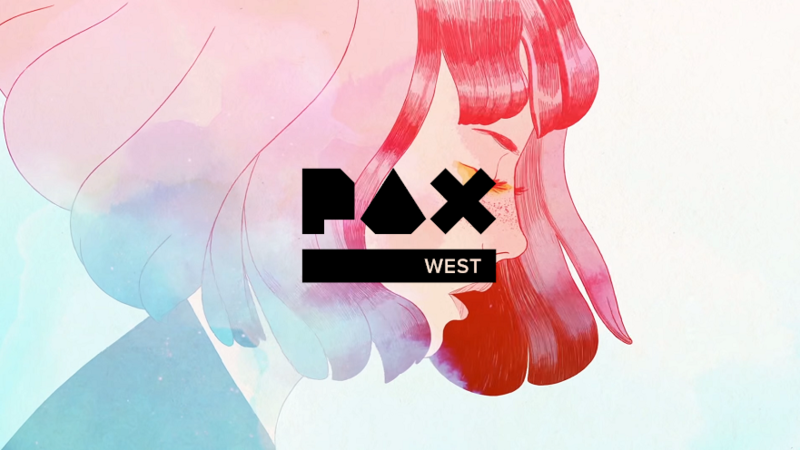 The demo for Gris was specifically put together for PAX West, with the PR reps informing me the demo was made up of three separate segments of the full game linked together “seamlessly.” I would argue against the use of that word, as it was easy to tell there were three different segments just from the gameplay gimmicks and art styles, but the transitions between them were smooth. Gris starts out with a short cutscene establishing the premise of the game…which is done completely wordlessly, so this is just my interpretation. A young woman is shown resting on a statue’s hand and singing when she suddenly loses her voice. Immediately after that, her world…or, rather, the statue…begins to crumble around her, sending here tumbling to the land below. Thus begins what I presume is a search for the main character’s voice. The gameplay itself is, admittedly, rather simple. 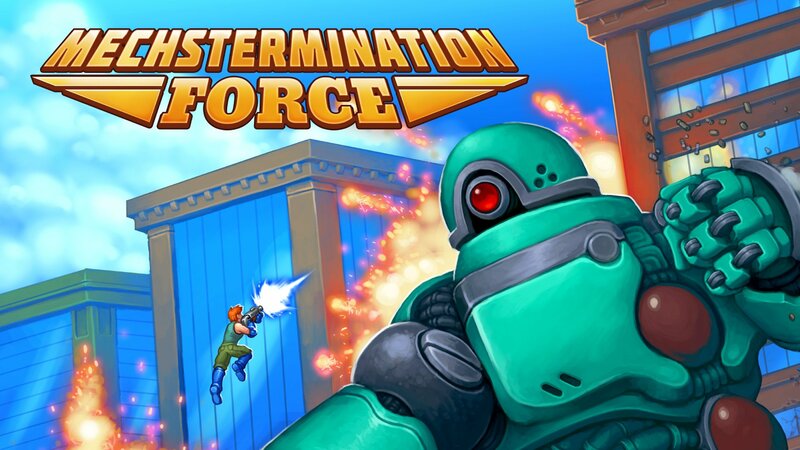 You control the main character running through various environments, having to solve some easy platforming puzzles along the way. The only time I found myself getting somewhat stuck was actually at the first “puzzle” of the game. Within the first minute, you pick up an orb of light that follows you around, and shortly after you arrive at a broken staircase with two empty circular slots. When you approach, the orb following you attaches to one of the slots briefly, and then returns to you. My first instinct was that I had to get the orb to touch both slots, or find a way to drag the orb between the slots to create a path. Of course, the simplest answer is usually the right one: there was a second orb to find, and I had run past it. I didn’t run across any more trouble after that, going up against typical challenges like vanishing platforms and maze-like screens that I had to navigate through. 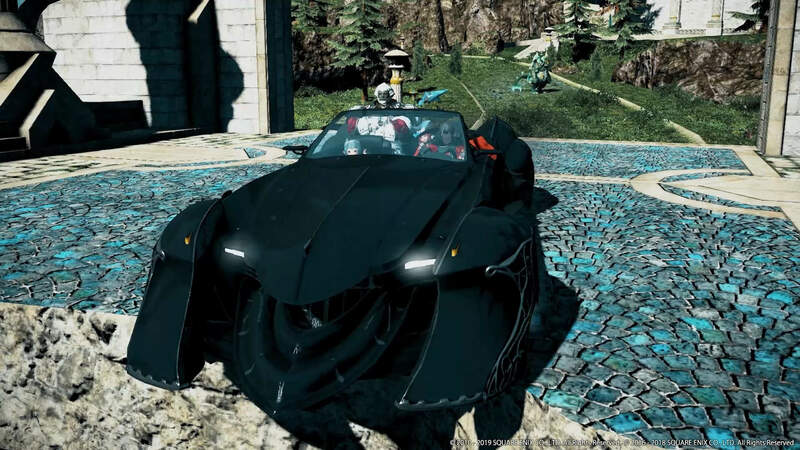 The most interesting gameplay came in the demo’s second segment in what I can best describe as a “boss fight.” A shadow-like bird creature begins stalking you around multiple screens, using its screams to blow your character around. Navigating through this area required using the bird’s attacks to your advantage, drifting along the air currents it creates to get across chasms. So, yes, the gameplay presented thus far is rather simplistic. What really made the game stand out to me as one of the best I played on the first day of the show, though, was its artistic presentation, and the soundtrack in particular. As I mentioned, this game is eye-catchingly colorful, with a beautiful watercolor aesthetic and some serene lighting effect during certain moments. 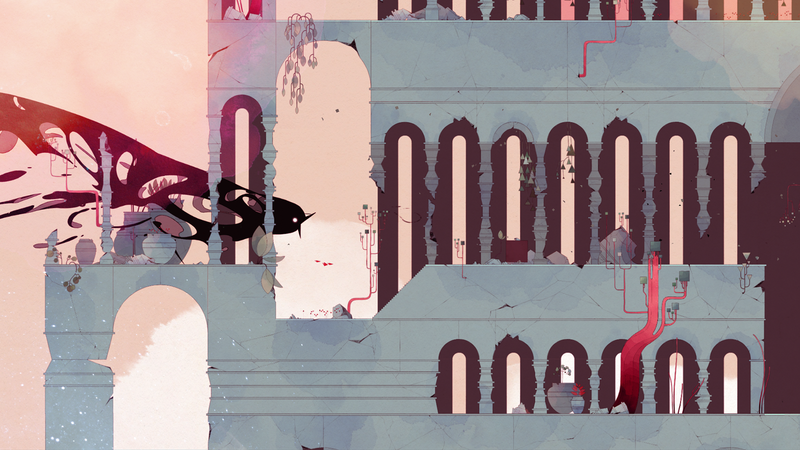 As a sucker for music in games, though, the soundtrack is really what pulled me to Gris. Piano, strings, some brass, and a stunning atmospheric synth all came together to enhance nearly every moment of the demo, even reminding me of the band Sigur Ros at points. One moment in particular has stuck with me even now, a couple weeks after playing the demo. 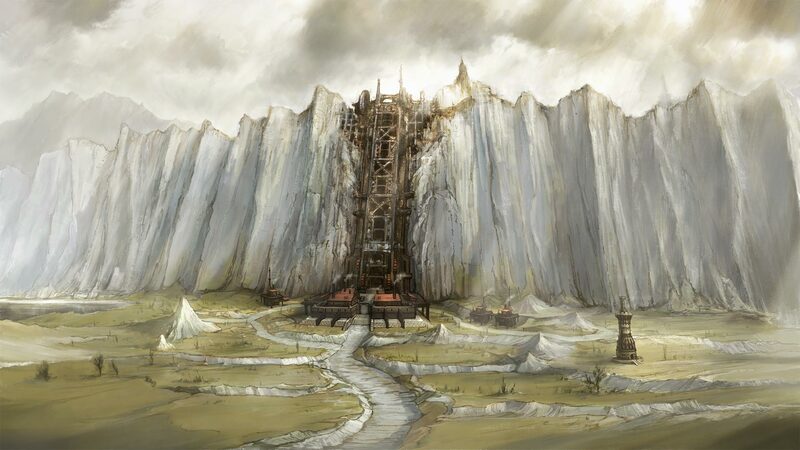 The end of the second segment sees you climbing a long staircase, eventually arriving at a statuesque platform that looks like the one the main character started on at the beginning of the game. The character jumps into the statue’s hand and seemingly has a breakdown, as the quiet piano piece playing swells to a mixture of melancholic and triumphant strings, a beam of light shining down on to the platform with ink-like color effects changing the sky behind it. It’s kind of difficult to portray in words, but after this moment I realized I was playing something special. The demo ends shortly after this, with the main character dropping out of the bottom of a pool of water, through the sky, and landing on a mountain top. This demo literally capped off the first day of PAX West for me, as by the time I took the headphones off, a message was going out on the expo hall loudspeaker that the floor was closing for the day. Out of everything I got to try out at Devolver’s booth (and much of the show in general), Gris easily became one of my highlights of this year’s show. The atmospheric presentation drew me right in and kept me gripped through the entire demo. The reps at the booth tell me that the final game is intended to be a few hours long, which sounds about right – this is the kind of game that you don’t want overstaying its welcome. The game’s official website doesn’t give any further release details than “later this year,” although I’ve seen rumblings elsewhere of a December 2018 release date. 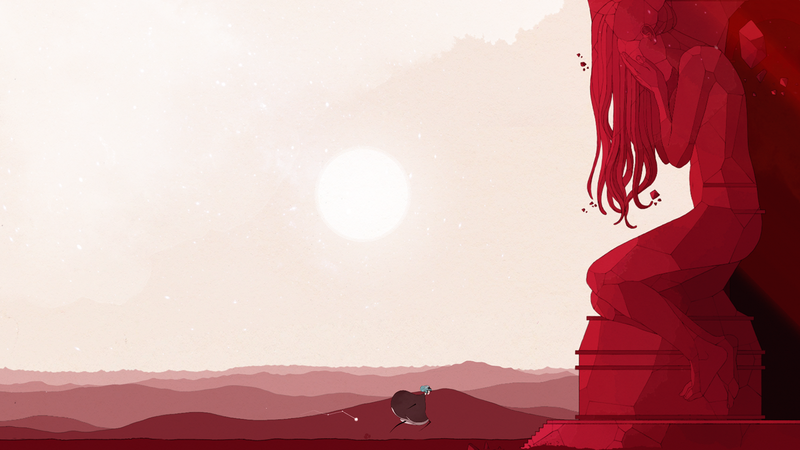 Whatever it may be, Gris definitely has my attention, and I can’t wait for the chance to dive in further to this beautiful world.